On 1st December 2016, the Aid & International Development Forum (AIDF) hosted a webinar on ‘Procurement advice & business opportunities in the aid and development sector’ aimed at private sector companies looking to supply humanitarian aid and development programmes and doing business with UN, bilateral and government agencies, the webinar offered an update and refresher on the tender process, vendor registration and evaluation criteria. 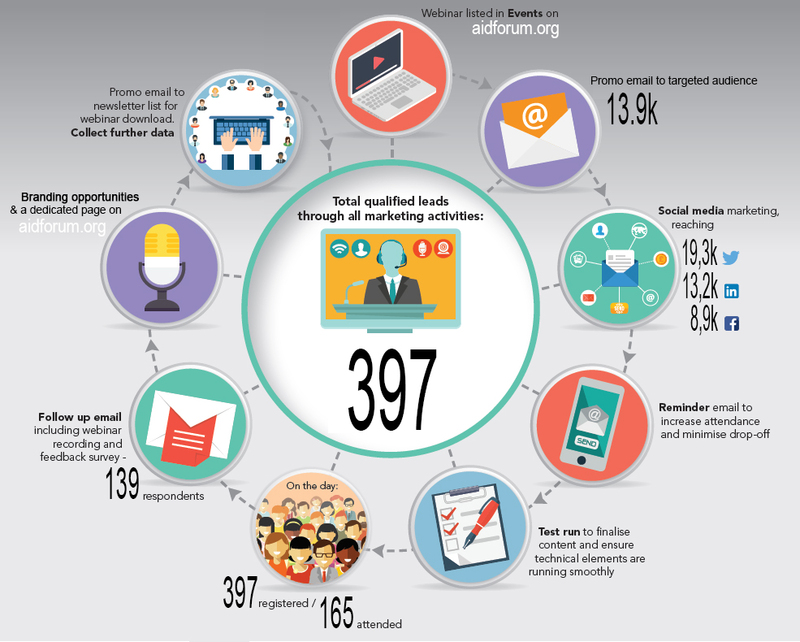 Through a multi-channel marketing campaign carried out over a period of two weeks, AIDF delivered a successful webinar resulting in 397 sales leads and 42% attendance rate. AIDF provides bespoke client offerings and if you would like to get involved and achieve something similar, please contact us at marketing@aidforum.org to discuss your requirements and goals.